JEM is a bit obsessive about her nails and nail polishes. I'm not kidding you- she is obsessed. 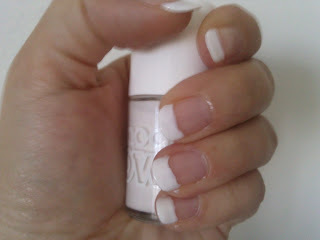 She's done a wee review for you all on her french mani- enjoy peeps. Well, to kick off the first of many reviews, I will start with a much-loved brand, Models' Own - however as I already did a French manicure with it this weekend, I shall review how that went on. My first ever home-done french manicure was using the L'Oreal French manicure kit which comes with all you need to give yourself a perfect frenchie at home: White tip colour, pastel pink nail coat, and those little daft sticky strips which you're supposed to use to make sure the white lines are all straight and even. First up: Bin the daft strips. Don't even bother trying with them - they don't fit the shape of my nails properly, the polish comes off with the strip, yadda yadda yadda. Waste of time. I found with a little trial and error, I was able to paint a much better-looking white tip on freehand, helped out in no small part by the brush that came with the L'Oreal white tip polish, which is tapered off to a point (makes getting the white into the corners of your nails a whole heap easier). 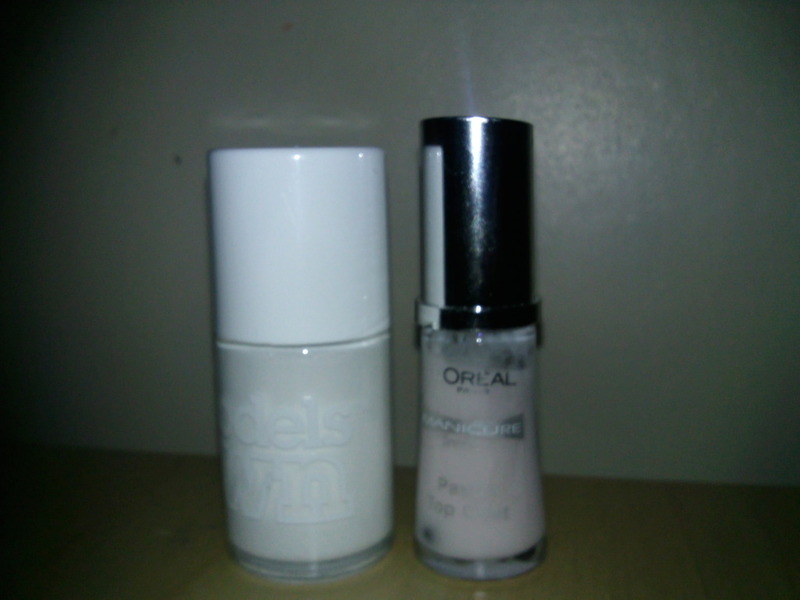 The bad point to all this: The L'Oreal white tip polish is a real pain in the backside. After the first two uses, no matter how well you shake it up, or even the tried and tested 'add a few drops of nail polish remover and shake well', it starts to go all sticky and globby, and has the texture of polyfilla. Not so easy to get nice, straight lines on the nail there. Sadly, the only area that really lets the MO snow white down is the brush. How I've loved my L'Oreal slanted tip brush that came with the old polish. Luckily for me… I kept a hold of it when I binned the rest of the bottle!! Finished off with a coat of high-gloss topcoat for protection and shine, unfortunately the L'Oreal is prone to chipping without it so I always put a good amount on and also wrap over the tips of the nails. The Verdict: Models own, all the way - however it helps to have the dexterity of a fine artist if you're going to use the brush that comes in the bottle. More talented people than I will say it's a doddle with the MO brush (they're not terrible brushes in themselves, and I have no complaints when I'm doing a full nail in a colour) however I find the precision lines easier to paint in using a finer brush. Another tried and tested trick is, to put the white on first, and then dip a cotton but in nail polish remover and just 'tidy up' the tips before top-coating.